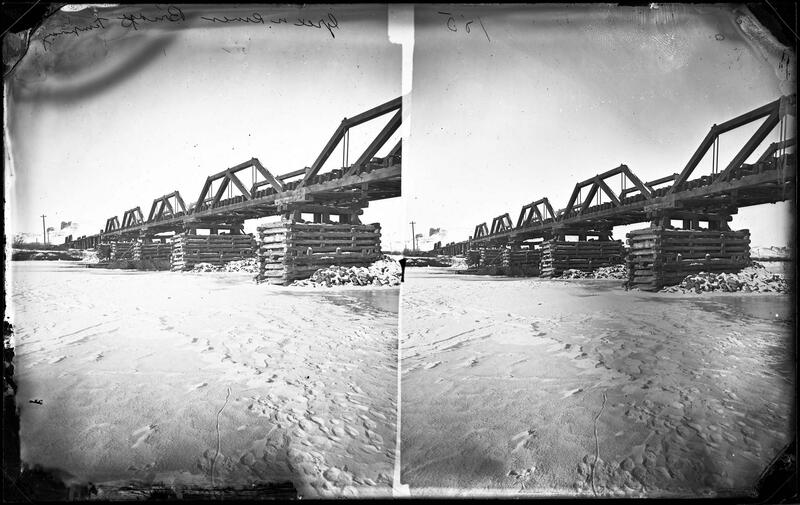 inscription: "185 Green River Bridge Temporary," inscribed in emulsion along top edge. Photograph. 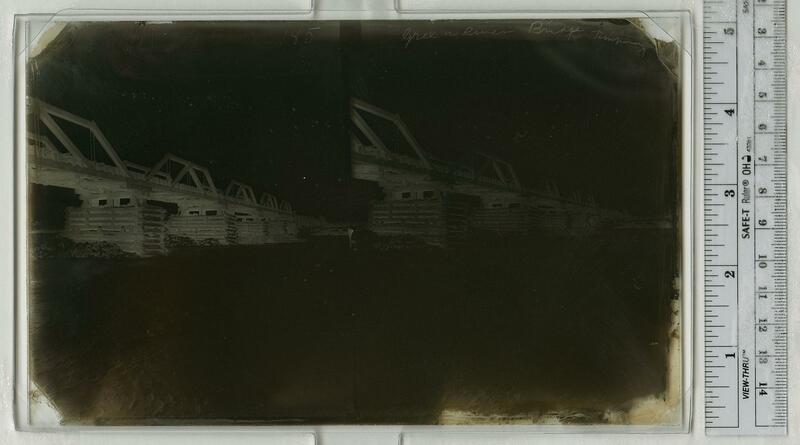 Title: 185 Green River Bridge Temporary (scratched on negative) Image Description: (s185) See title. Physical Description: Stereographic collodion glass plate negative, 5"X8". Sub. Cat. : Transportation -- Railroads Remarks: Title from Prof. S.J. Sedgwick's "Catalogue": Cribwork Bridge, Green River.